Choreographed, written, and directed by David Roussève, Halfway to Dawn is an evening-length work weaving dance, music, sound, video, and text to uncover the deeper ”truths” of African American, gay jazz composer Billy Strayhorn’s life (1915–67) while also creating a dialogue on urgent social issues of our own time. 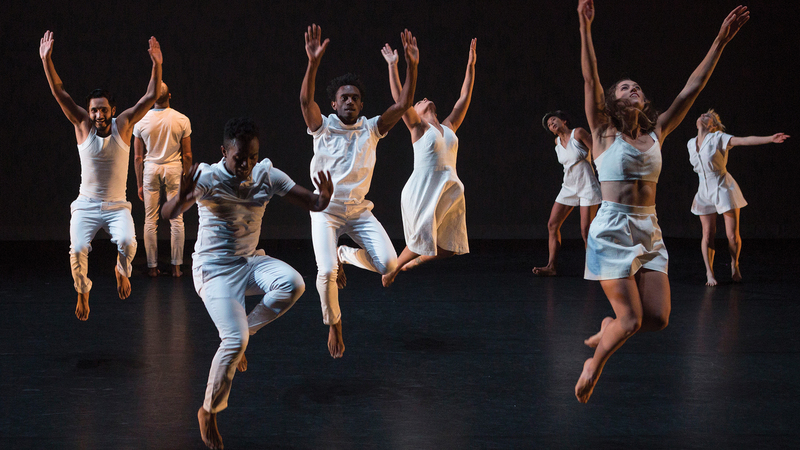 The work is danced to a score of Strayhorn and Duke Ellington songs, from raise-the-roof jazz anthems to emotion-laden ballads. Halfway to Dawn intersects fact, conjecture, comment, abstraction, and fantasy to create an abstract portrait of Ellington’s most important, though largely unknown, collaborator. Founded in 1988, David Roussève/REALITY creates expressionistic dance/theater works that combine the accessibility, grit, and passion of African American traditional and pop cultures with the challenging compositional structures of avant-garde dance and theater in order to explore socially-charged, immensely relevant, and often spiritual themes.